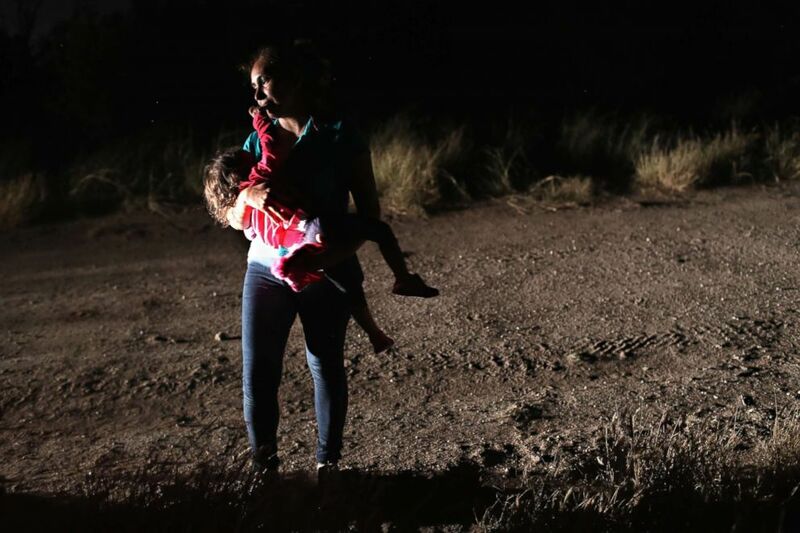 camera (John Moore/Getty Images) A two-year-old Honduran asylum seeker cries as her mother is searched and detained near the U.S.-Mexico border on June 12, 2018, in McAllen, Texas. The asylum seekers had rafted across the Rio Grande from Mexico and were detained by U.S. Border Patrol agents before being sent to a processing center for possible separation. Customs and Border Protection (CBP) is executing the Trump administration's "zero tolerance" policy towards undocumented immigrants. The father of the young girl from Honduras whose picture has become an iconic image of the immigration battle now says that his daughter and wife were never separated by U.S. authorities. 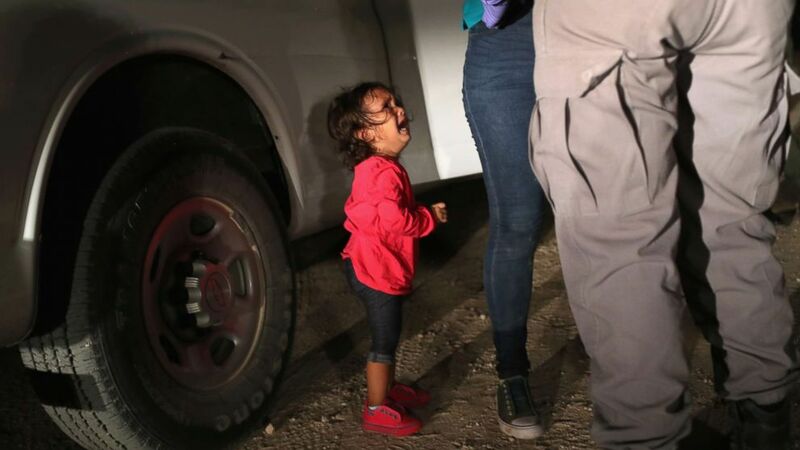 A picture of the little girl crying for her mother was widely circulated and while the photographer made it clear he didn't know the fate of the pair, the Trump administration's zero tolerance policy had separated many families in similar situations. (John Moore/Getty Images) A two-year-old Honduran asylum seeker cries as her mother is searched and detained near the U.S.-Mexico border on June 12, 2018, in McAllen, Texas. The asylum seekers had rafted across the Rio Grande from Mexico and were detained by U.S. Border Patrol agents before being sent to a processing center for possible separation. Customs and Border Protection (CBP) is executing the Trump administration's "zero tolerance" policy towards undocumented immigrants. (John Moore/Getty Images) A Honduran mother holds her two-year-old daughter while being detained by U.S. Border Patrol agents near the U.S.-Mexico border on June 12, 2018, in McAllen, Texas. The asylum seekers had rafted across the Rio Grande from Mexico and were detained before being sent to a processing center for possible separation. 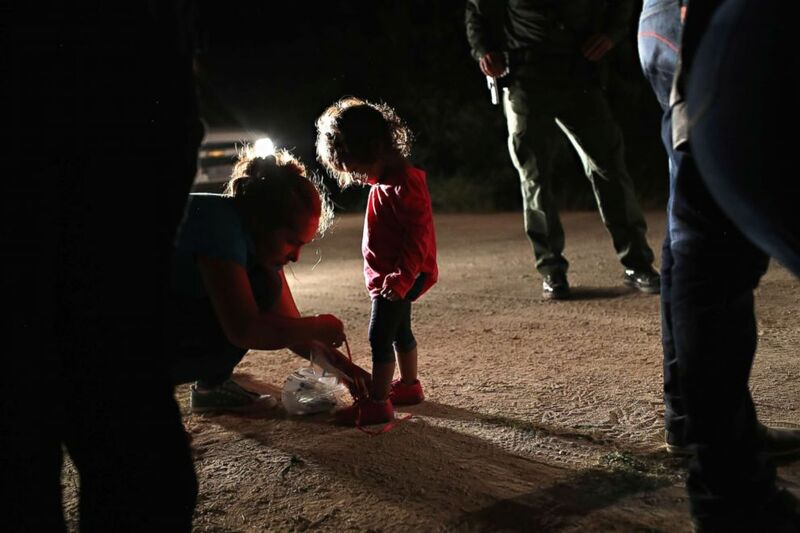 (John Moore/Getty Images) A Honduran mother removes her two-year-old daughter's shoe laces, as required by U.S. Border Patrol agents, after being detained near the U.S.-Mexico border on June 12, 2018, in McAllen, Texas. Customs and Border Protection (CBP) is executing the Trump administration's "zero tolerance" policy towards undocumented immigrants. ABC News' Kirit Radia, Esther Castillejo and Geneva Sands contributed to this report.